When a role is created, determine whether a user can add themselves or remove themselves from the role. 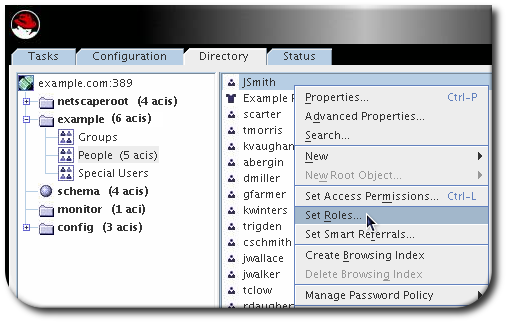 See Section 8.2.10, “Using Roles Securely” for more information about roles and access control. 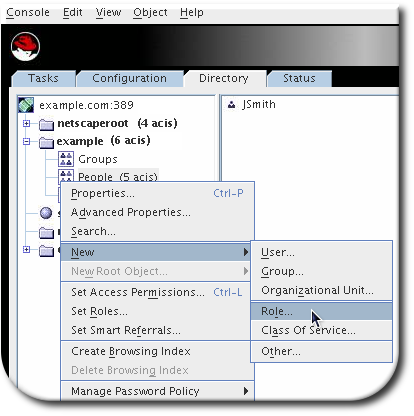 Considerations for using roles are covered in the Red Hat Directory Server Deployment Guide. Run ldapmodify with the -a option to add a new entry. User entries are assigned to the role through the command line by editing the role entry, either by adding the entry as a member or adjusting the filter so it is included. In the Directory Server Console, however, there is a shortcut to add entries to a role by apparently editing the required user entry (but, functionally, this really edits the role entry). 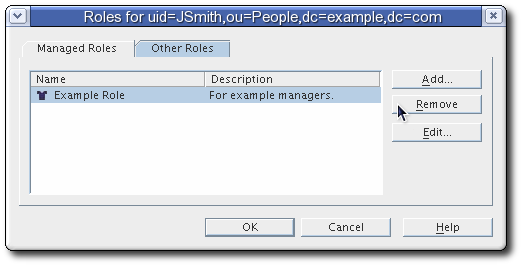 Deleting a role deletes the role entry but does not delete the nsRoleDN attribute for each role member. 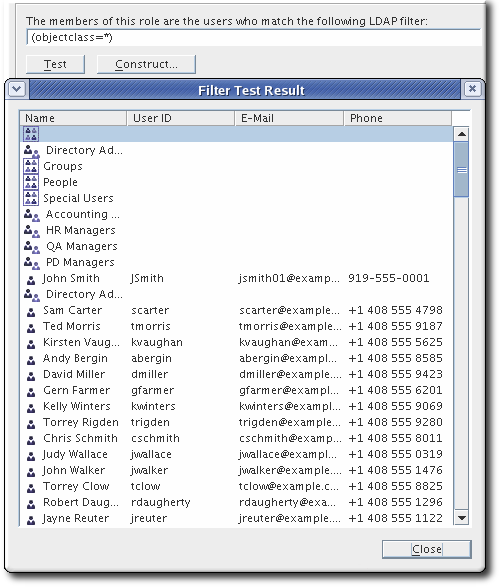 To delete the nsRoleDN attribute for each role member, enable the Referential Integrity plug-in, and configure it to manage the nsRoleDN attribute. For more information on the Referential Integrity plug-in, see Chapter 5, Maintaining Referential Integrity. For more information about account inactivation, see Section 19.15, “Manually Inactivating Users and Roles”.